2016 is the 100th anniversary of the United States National Parks, and the parks are more popular than ever. 2015 saw the most National Park Visitors ever, and with increasing interest comes increased need for solutions to congestion. 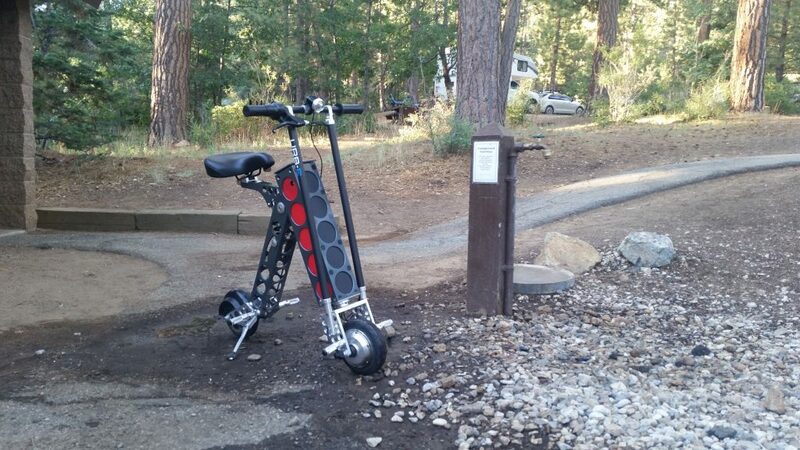 URB-E employees and riders have taken the folding electric scooter camping, and we put together a list of how the URB-E can help anyone visiting a National Park or considering a National Park road trip! 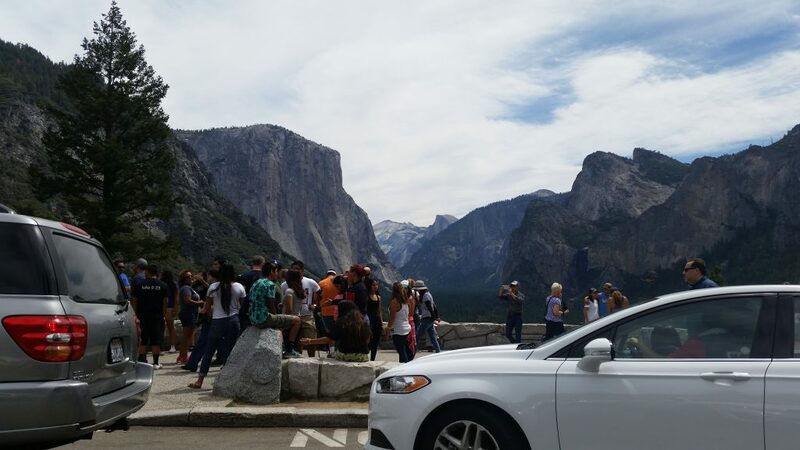 Traffic in some National Parks can be a painful reminder of the urban life that visitors intended to escape. Visitors to Zion National Park face full parking lots and long traffic lines to get to destination hikes. After travelling hundreds to thousands of miles to enjoy the sites and hikes of nature, many travelers are either stuck waiting hours in traffic or going to less scenic hikes where parking is available. Whether you're doing a National Park road trip or simply visiting for the weekend, the last thing you want to do upon arrival is sit in your car for another couple hours. With an URB-E, you can park wherever you need and lock your URB-E up at the destination. The URB-E is fully electric, so you will reduce harmful emissions while still easily navigating nature. And you will fly by the lines of cars stuck in gridlock: spend more time in nature instead of watching it from your car window. If you are going on a National Park road trip, you will be looking for every opportunity to get out of your car. The URB-E lets you get outside the car without sacrificing speed or functionality. 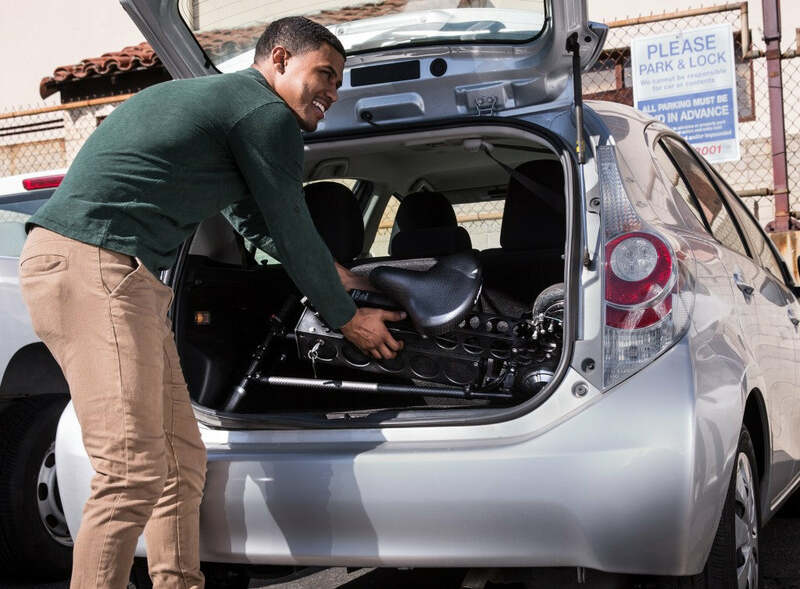 URB-E folds to fit easily in the trunk or backseat, and then unfolds to carry you up to 20 miles at 15 MPH. Bike racks have the potential to malfunction, and with an URB-E you can safely stow your transport within your vehicle until you need to use it. And let's not avoid the reality: while we go camping to enjoy nature, we still use our smartphones to take pictures, navigate, and play music. The URB-E comes with a USB charging port to keep your phone charged during your trip, so you won't need to worry about conserving your battery or missing out on photos because of a dead phone. purpose is to conserve the scenery and the natural and historic objects and the wild life therein and to provide for the enjoyment of the same in such manner and by such means as will leave them unimpaired for the enjoyment of future generations. 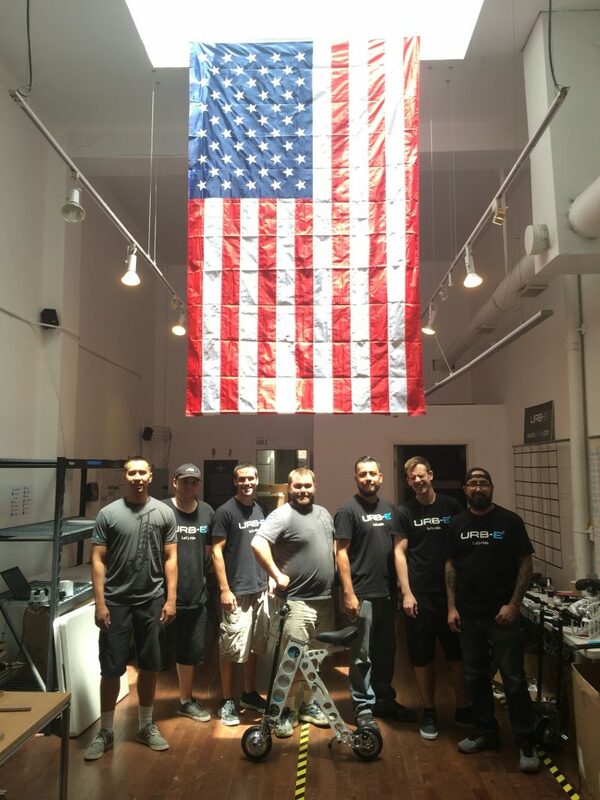 The URB-E was conceived, designed, and is currently built right here in the United States of America. The URB-E was created to reduce emissions for future generations, and to solve the significant urban problem of traffic congestion by putting the daily commute into people's hands. With the URB-E, cities become easier to navigate, and people can spend more time enjoying their lives instead of sitting in traffic. Getting up to get water or use the restroom is one of the pains built into camping. With only a small handful of stations at each campsite, people usually have to walk far with gallons of water for hydration or to put out their campfire. 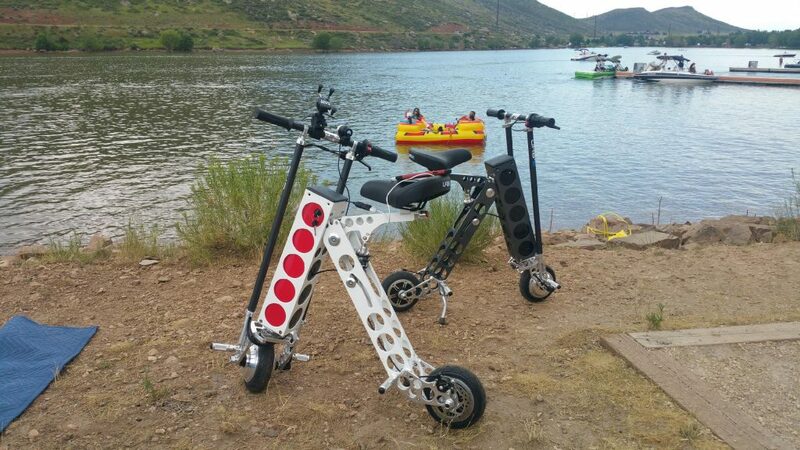 With an URB-E, you just need to unfold your scooter and you'll be at the restroom or water spout in seconds. Using the URB-E Cargo Basket, you can haul the water or dishes you're taking to wash easily. It's also great for retrieving wood, looking for Marshmallow sticks, and socializing with other campers! At Yosemite National Park, the Park Rangers advise that you leave your car parked for your entire stay, to avoid heavy traffic in getting to trails. You often face bumper-to-bumper congestion, especially over holiday weekends, when trying to get to scenic outlooks at National Parks. Hiking is tough but rewarding, so getting to and from the trail should be a breeze. With an URB-E, you can zoom right to the trailhead and lock your URB-E up. In your journey from the campsite to the summit of your hike, the URB-E lets you enjoy nature without using an ounce of gas. Once you arrive at your campsite, you won't need to get in your car again until it's time to leave. If you would like to learn more about how the URB-E can make your National Park road trip or visit even better, check out the URB-E at http://shop.urb-e.com/collections/all. You can also come visit us in Pasadena, give us a call at (626)460-8113, or email us at info@urban626.com!